then see the links below. However, I'd encourage you first to have a quick read of this page for some general information and background. I remember it very clearly – so much so, that I can even name the species, even though it happened many years ago. It was the nest of a white-tailed bumblebee (Bombus lucorum), and I suspect a queen in the early stages of establishing her colony. The nest had been made at the base of our privet hedge in what appeared to be a mouse hole. I now know this is common among a number of species – many like to use abandoned rodent holes. They are ideal, in that they consist of a ready-made, underground shelter, complete with nest lining. 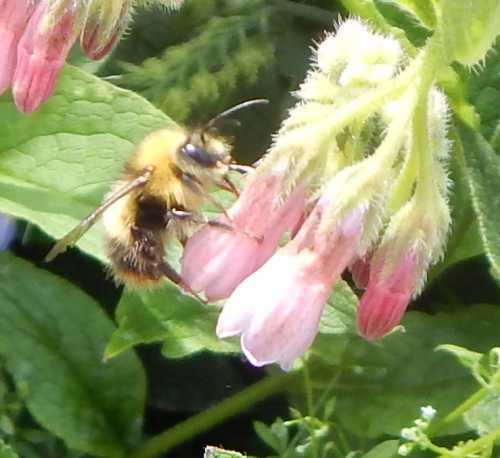 Bumblebees are obviously restricted when it comes to gathering their own nest material, although some species are able to rake up quantities of moss in order to cover their nests which they make above ground (this is a particular preference of the carder species, including the rare Bombus sylvarum - the shrill carder). However, the 'ingredients' for the nest: the mosses, old grass, perhaps a bit of old fur, needs to be in the right place. So how do bumblebees go about locating and setting up nests? Nests are established by an impregnated queen after she has emerged from hibernation and has refuelled herself with nectar and pollen. The nectar will provide her with much needed energy, whilst the pollen will help her ovaries to develop. Once she has recovered from her winter snooze, she’ll go looking for suitable nest sites. 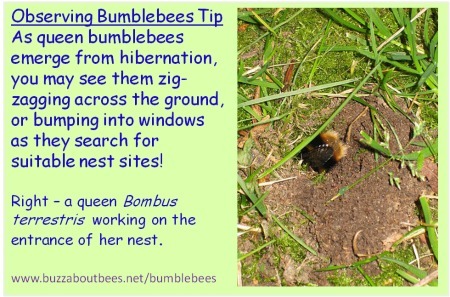 You can tell when queens are prospecting for nest sites: you may see them flying close to the ground, sometimes in a zig-zag pattern, seeking out a suitable spot. They may hesitate or land at shady spots in the garden, or beneath the shed. You may see them around compost bins - indeed, bees may nest in them. The video below shows a Bombus hypnorum colony active in my own compost bin. Some species are happy to nest higher up, and so you may see them hovering around or bumping into the windows of your house. Again, they are attracted to the shade, in case it signals a ready-made cavity where there might be a suitable site for a nest. 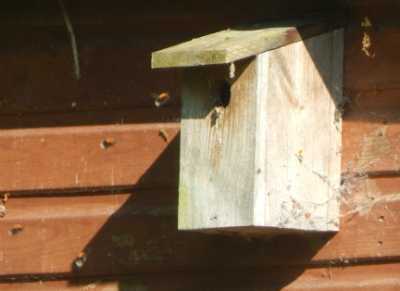 Above: A Bombus hypnorum colony is using a bird house as a nest site. For a variety of reasons, bumblebees have suffered greatly because of habitat destruction. Not only have they lost valuable foraging sites, they have lost nesting sites too. How come? Modern farming practices have resulted in the grubbing up of many traditional, mixed hedgerows. The base of hedgerows provide ideal places for small rodents and voles to make their nests. Fewer hedgerows means fewer small mammals, and so fewer available nest sites. Again, for the sake of modern farming practices or for the sake of building and road development, many of the kinds of landscapes providing tussocky grasses (with abundance of flower foraging sources) that provide suitable spots for surface nesting species, have been lost. For example, in the UK, an astonishing 98% of such landscape has disappeared, along with important bumblebee habitat. 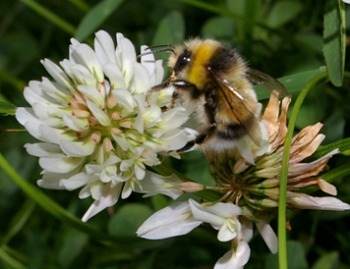 Hence, meadows and grasslands have been lost to the detriment of many bumblebee species. Woodlands, again because they provide a rich diversity of flora and fauna, provide great habitats. However, it is well known that we have lost many of our woodlands, again for the sake of ‘development’. 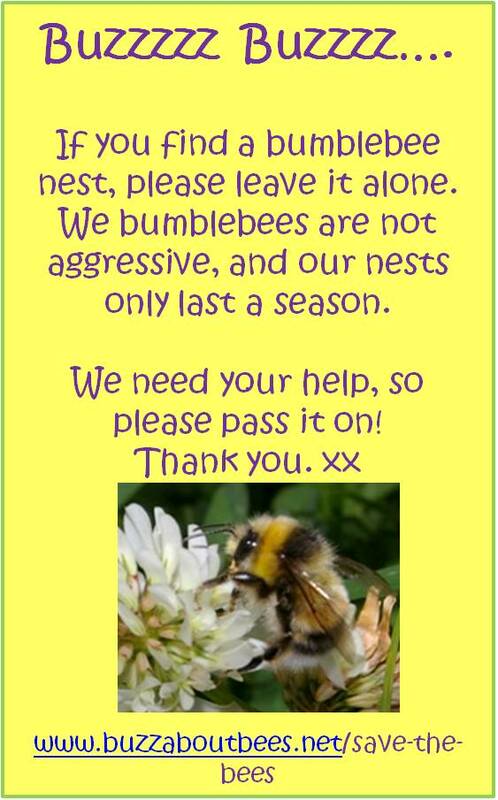 The lack of available nest sites has definitely had a very negative impact on populations of bumblebees. Some species however, have been able to adapt somewhat, through necessity, whilst for others this has not been possible. It’s important to note that fewer than half of colonies are successful, and nest disturbance is a significant factor, whether through human activity or predators. However, we humans can help, by creating bee-friendly gardens, and providing suitable bumblebee nest sites in our gardens. We will benefit greatly when they pollinate our plants (especially our soft fruits, tomatoes and beans). They are very docile and will only rarely sting if they feel very threatened. bumblebees have had to adapt, and increasingly, bumblebee nests are turning up in bird boxes, or are making use of upturned plant pots under the shed. You could provide an old tea pot, clean bird box or plant pot, place it in a secure place away from predators, with a little hamster bedding or soft moss inside, and see if the bees make a nest. If a rodent occupies the nest, this is a good sign - you are more likely to have bumblebees in the following year! In the meantime, given the challenges facing bumblebees, I think it's time bumblebees and their nests had legal protection. Read more here. If you have no choice but to remove a bumblebee nest, find out how to do it safely and humanely here. Here you'll find out more useful information about bee nests, with a handy Q&A. Bumblebees are outstanding pollinators. We need them in our gardens and in our countryside. They are excellent polinators of many fruits that require 'buzz pollination'. Learn more here. Cuckoos are known for laying their eggs in the nests of other birds. But did you know that there are species of cuckoo bees too! Find out more here. 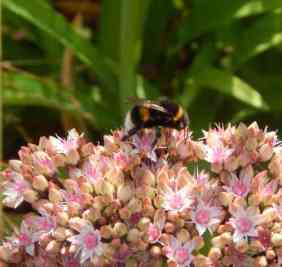 Take a look at all these great lists of brilliant bee plants. Here you'll find calendarized lists of plants to attract all kinds of bees into your garden. Bees have been going through a hard time lately. We need to help them. Here are 10 simple things you can do to help save the bees. Why not share them with your friends and family?